Be A Fan + Get Free Stuff! As in, street team, but a fairly laid back one, to be honest. I don’t know about you, but I’m kind of shy, and I’m busy. You don’t have to climb a billboard and shout “Buy Moriah’s book!” to be on my Easy Street team. You don’t even have to spam your friends. Just read the new book, post an honest review on Amazon, Goodreads, etc, maybe chat it up a bit online, and that’s it. Swag, such as bookmarks, signed cover cards, gift cards, pens, mugs, totes, and even jewelry. There should definitely be some chocolate involved. * News! 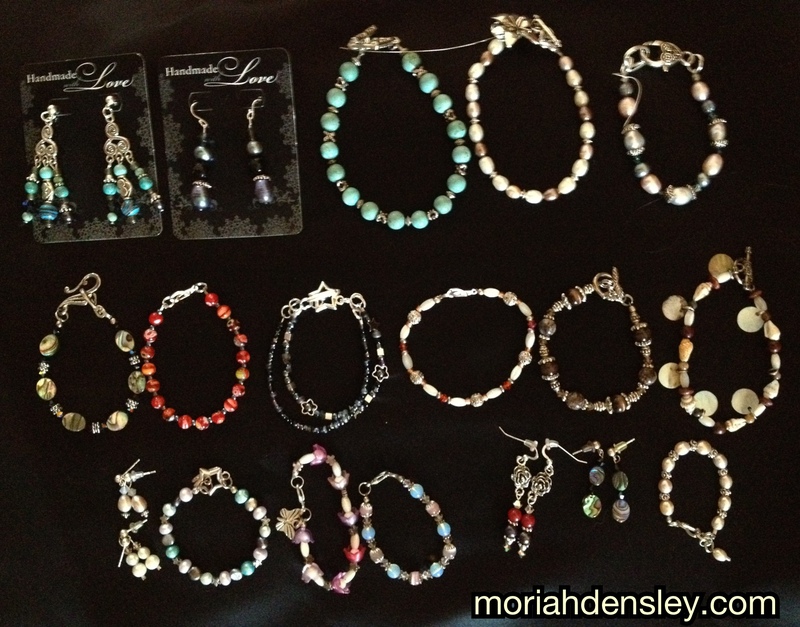 The first 30 Easy Street members who post a review for Song for Sophia on Amazon & Goodreads on release day will get their choice of one of my bracelets or pair of earrings.